Choose Superior Quality British made rubber. 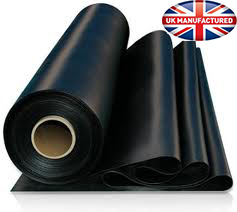 Flat sheet Butyl rubber and EPDM liners manufactured at our Billericay premises to your exact size in a choice of thicknesses. 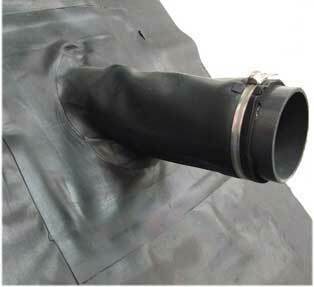 Our liners are all vulcanised (heat welded) in our factory for an extra strong seam. We never use tape or glue to make our rubber liners. With our liner calculation tool you need never pay for more material than you need. 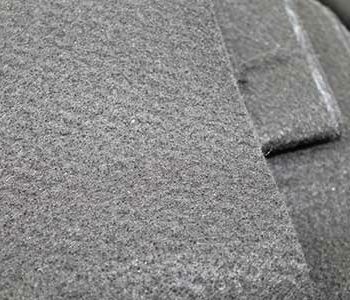 Our Butyl rubber and EPDM rubber materials are totally UV stable and non toxic for all forms of aquatic and plant life. The calculator above is easy to use, we can assist whether you know what size liner you need or you have the dimensions of your pond and need help calculating the final sheet size: just select the buttons that suit you and type in your measurements.. If you ask for help with your sizes, the calculator will automatically add enough material to your sheet size to allow for digging in / finishing around the edge of your pond. This is usually around 2ft or a little over half a meter. Take a look at our Pond Liner Material Suitability Chart to see why our rubber really is the best possible choice to line your pond. We make all of our flat sheet liners to order, so you should expect delivery within 3 to 7 business days. During extremely busy periods the lead times may be extended, please call us on 01277 653 281 if your liner is required by a specific date. Our Underlay / Overlay is a 2.5-3mm thick spunbound Polypropylene material in black that is designed to be puncture resistant and is ideal for protecting your pond liner from roots, small pebbles or rough/uneven concrete and wooden surfaces. Our specification sheet can be downloaded from the tab below. Butyl rubber remains the top choice for professional pond builders and water gardeners due to its highly flexible, durable nature and because it is totally non-toxic and does not harm any aquatic or plant life. It is long lasting and completely UV stable so will not crack or split if left exposed to normal sunlight. 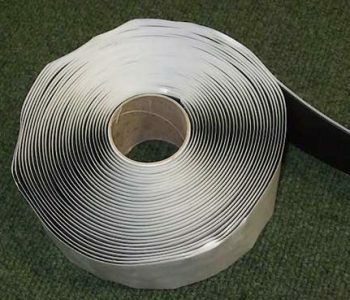 EPDM rubber, while offering the same high quality and resistances as Butyl rubber, is a popular budget friendly alternative that has a shorter expected working lifetime. Our flat sheet Butyl rubber pond liner carries a 20 year guarantee and has an expected working lifetime of around 50 years. Our flat sheet EPDM rubber pond liner carries a 10 year guarantee and has an expected working lifetime of 20 to 30 years. 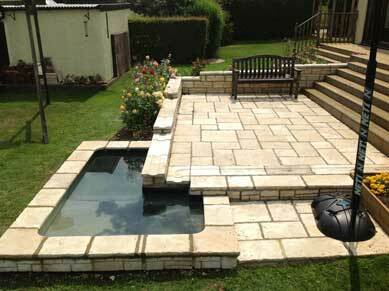 Our Guide to Great Ponds can be downloaded from the tab below.